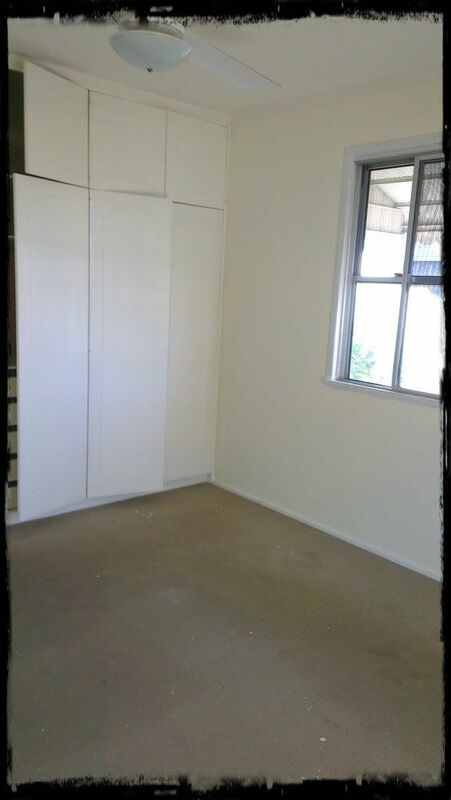 As in all the stuff is now out of Phill's unit so that can be rented out which makes life a bit easier. The house is full of rooms with piles of stuff in them. The books are spread out over the floor in the lounge the kitchen thankfully has no more boxes which is good and the bedroom is pretty much packed into the cupboards. That said that is only the piles upstairs we keep finding more downstairs! this is what they looked like before. I don't know whether they have been cleaned in years! They looked really manky! They are a gorgeous reddish brown with a very white yellow on the walls. They look stunning and so bright. Also wonderful and thick under the feet. There is a nice thick underlay and everything. Now I did also want to show pictures of my garden beds. I have three veggie patches. Now we've moved in I'm going to plant some beans and capsicum and see what comes out. Oh and that is an orange tree they aren't quite ripe yet but they are very close. Oh on the job front ... I don't have one anymore. I QUIT! maybe not the best time to be doing so but I finally had enough of being treated like I had no clue what I was talking about and couldn't be trusted to do my job. So when my friend left about two weeks ago that gave me the boost I needed to quit. So I'm going back to supply teaching next term and hopefully I will find enough supply work in the new area to make up for the lack of permanent job. Actually all I need is one day a week to break even (which isn't much considering I've been working 5 days almost full time) and two days would mean I would come out ahead! Oh I have been stitching but not much. The house is in a shambles with boxes everywhere and it's hard to settle to stitching. 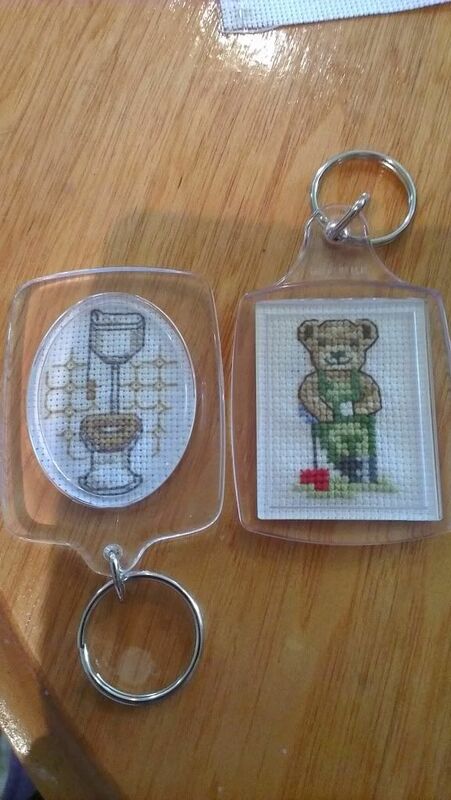 But I have done two keyrings :D one for me and one for Phill for the new house keys. Can you guess which one is which? anyway that is all for today. I hope to be on more after next week as Optus are coming on Monday to install the internet! Wow! What changes you are going through! Best of luck!! The house and the garden look great. Of course there is still of stuf everywhere. Moving is a very tiring thing to do, and it takes time to put everything away and give things a good place. The keyrings look loveley. Good for you on job quitting, if you feel unhappy, nothing is worth staying there. I'll send lots of 'job finding for two days a week'- energy. Cute keyrings. The house and yard are looking great. Well done on the move and on taking control of your life workwise! Love the little keyrings -very cute! Cute keychains :) Hey for the new house and the veggie garden and ditching jobs that don't appreciate you. 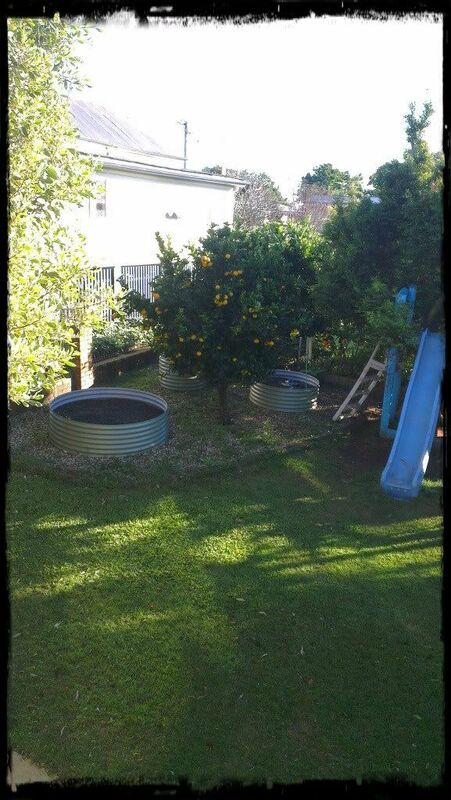 Glad you're starting to get settled in, and I love the look of your backyard with the garden plots and that orange tree! Sweet key rings :-). Love the house and yard. Moving is always a not so very funny thing but the worst seems to be over for you. I wish you a lot of fun in the new house and garden. Yaaaay! Congratulations! I love the color of the new carpet - it's so warm. 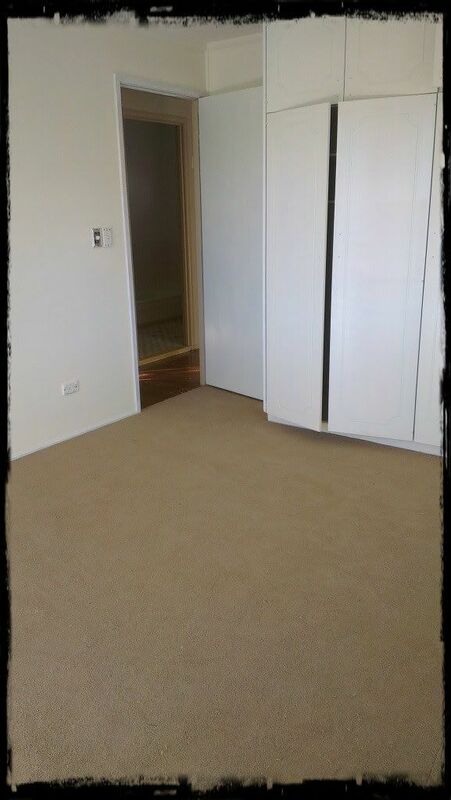 Nothing quite as disgusting as old, dingy carpet to tell you the truth. Mystery stains are not fun.